Custom Safety Tags are ideal when standard legends don't fit or more specific safety warnings are needed. Custom Safety Tags come in plastic, heavy-duty card stock or Tyvek and display custom wording and safety warnings. Tags can even be color-coded to provide for easy safety identification. 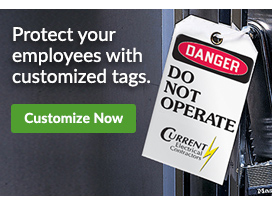 Custom OSHA Safety Tags are available at Seton for instances in which the standard legends or wording don't apply to your specific or unusual tag requirements. You might need a specific color or shape, size or message for your Custom OSHA Safety Tag need, so make sure to check out all that Seton has to offer in this area. Check out the following options: Custom Printed Colored Tyvek Tags, 4 x 7 Custom Heavy Duty Cardstock Safety Tags, Custom Safety Plastic Tags - 3 x 5-3/4, 1 Color, 1 Side and other variations of sizes and arrangements.